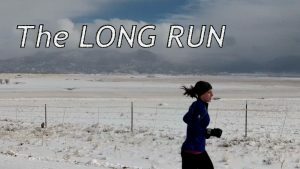 This program is meant for those of you who are running 15 miles for your weekly long run, aiming to run a 50-miler. The key of the training is in long, slow runs on successive days, sandwiched by two days of total rest. Weeks 1&2: On Day One, start by running 6-10 miles, 4×1 mile at the pace of your best ten-miler (TMP). Take a break on Day Two with a light jogging for 5 miles (Day Two remains the same through the whole plan). On the third day, increase your mileage to 7-9 miles, running the middle three at marathon pace (MP). The fourth day is reserved for total rest. On Day Five, you should run for 1.5h and on Day Six you should go for a 3-hour run. Day Seven is reserved for resting. Week 3: Day Five and Six now increase to 2-hour run and 3.5-hour run respectively. Week 4: You should run 5-8 miles on Day One, with 3×1 mile at TMP. On Day Three, run 6 miles, middle two at MP. Days Five & Six: run for 1.5h and 2h, respectively. Weeks 5&6: Run 9 miles on Day One, 6×1 miles at TMP, then 9 miles again on Day Three, middle 3 at MP (this portion of the training will remain the same until Week 15). 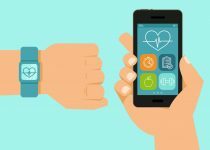 Go for a 3.5- to 4-hour run and 3h run on Days Five and Six. Week 7: Everything is identical, except that you should run last hour of Day Six at MP. Week 8: for Day One, switch to 3×2 miles at HMP, and 2h and 2.5h for Days Five&Six. Weeks 9&10: Go back to 6×1 miles at TMP for Day One, and increase to 4h and 3.5h run (last hour at MP) for Days Five & Six. Week 11: Day One is the same as Week 8. Days Five&Six are reserved for 2.5h and 3h runs. Weeks 12&13: Day One is the same as Week 5. 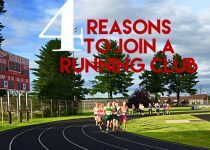 You should run for 4 and 5 hours on Days Five&Six. Week 14: Day One: 4×1 mile at TMP. Days Five & Six: 2 hours run. Week 15: Day One: 7 miles, 3×1 mile at MP. Day Three: 7 miles, middle three at MP. Day Five: 1.5h run. Day Six: 1h of jogging. Week 16: Day One: 6 miles, middle 3 at HMP. Day Three: 3-mile jog. Day Five: THE BIG DAY!